Charlotte Animal Referral and Emergency (CARE) is seeking experienced veterinary technicians for our busy ICU and Emergency departments. Third shift positions are available. Careful observation of hospitalized patients with special attention to patient comfort and reduction of patient stress. 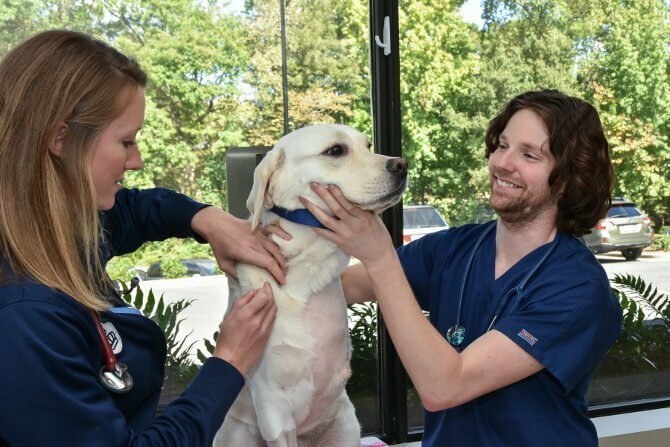 Examples might include assuring that patients are clean and dry, have fresh full water bowls when indicated, hand feeding patients that are not eating well, and calm gentle demeanor with patients that are anxious or aggressive. A minimum of 2 years of veterinary technician experience is required. For immediate consideration email your resume to [email protected].